Not long ago, we had the pleasure of hosting Sarah Gallo of The Five Foot Traveler on our Haleakala Sunrise tour. 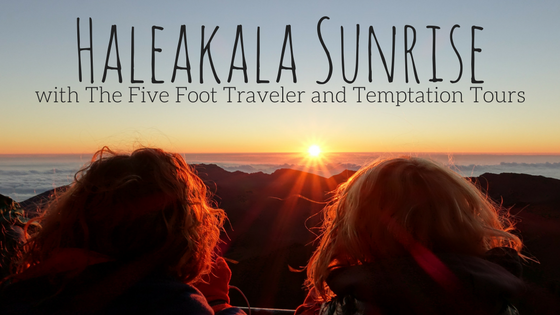 She’s a friendly, positive, upbeat travel blogger whose adventures have taken her all over the globe, and we couldn’t have been more thrilled when she reached out to us to express her interest in our Haleakala Sunrise tour. She and her editor were a pleasure to host, and our Hawaii-Certified Tour Guide Scott showed them a wonderful time on board one of our Luxury Limo-Vans on their travels to the summit of Haleakala. Read all about her journey here, on her blog, and give her a follow on Instagram for some amazing travel photos! Thank you for joining us, Sarah, and we hope to host some of your readers on board soon! 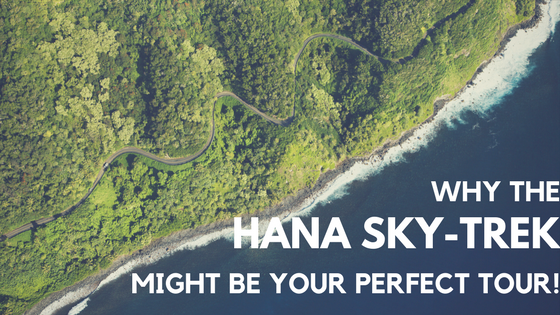 What other tour can you experience the entire Road to Hana, as well as a lengthy “flightseeing” tour? You can get up close and personal with the rainforest—discover incredible plant life, swim under a waterfall, dig your feet into a black sand beach—and then fly above it, seeing how it blends with Maui’s plentiful other microclimates from the air. We know that you’re busy during your time on Maui, and you’ve heard that the Road to Hana can easily take a whole day out of your vacation. Before you decide to skip it, consider the Sky-Trek! Your tour will run approximately six-and-a-half hours from start to finish, leaving time for something else after your tour (if you take the AM), or even before (for the PM tour)! “We want to do a snorkel trip, a submarine ride, a zipline, ooh, maybe parasailing, surfing lessons…” Does that sound like you? If so, knock out two checklist items at once with a Luxury Land tour and a helicopter adventure all in one go. Let’s face it—our Hana Sky-Trek is award-winning and so highly rated not only because of its unique itinerary and beautiful sites, but because of the exceptional service and luxury experience this tour provides every time. All of our Tour Guides, and the pilots at our partnering helicopter companies, are Hawaii-Certified Tour Guides, meaning they’ve gone through intense training and education to bring the most accurate and entertaining information about Hawaii to you during your tour. And from the state-of-the-art helicopter to the customized Luxury Limo-Van, you’ll be comfortable throughout your journey. Finally, with a limit of six guests per tour, your exclusive adventure will be personalized and engaging, every step of the way. Of course, any of our tours are a great way to spend some time on Maui, but for those who want to maximize their Road to Hana adventure, book the Hana Sky-Trek today! Our Hawaii-Certified Tour Guides all have plenty in common: they’re extremely knowledgeable, incredibly friendly, and have an enormous amount of enthusiasm for their very special work. Another thing that’s special about our Tour Guides? They make a lasting impression on their guests with every tour! Couple that with the fact that our guests love to leave reviews (on TripAdvisor, Yelp, Facebook, and more! ), plus our hundreds of yearly repeat guests, we often get asked if specific Tour Guides can be requested. 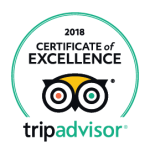 Whether your Tour Guide from the last time you joined us absolutely amazed you, or you’ve read the many five-star reviews for any one of our Hawaii-Certified Guides, you’re more than welcome to put in a request for a particular Tour Guide. How do you do it? The best time to request a Tour Guide is at time of booking—whether that’s over the phone, through a concierge agent, or online. 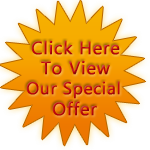 That will give us plenty of time to ensure your favorite Guide is available, and to schedule him or her accordingly. If you’re booking online, there’s a nifty “comments” section on the site—put your Guide request there! Of course, it goes without saying that we can’t absolutely guarantee the availability of a particular Tour Guide. Things happen, and sometimes it doesn’t work out. If we’re not able to fulfill your request, we’ll let you know as soon as we can, and match you with a Tour Guide who we feel would be great for your group. 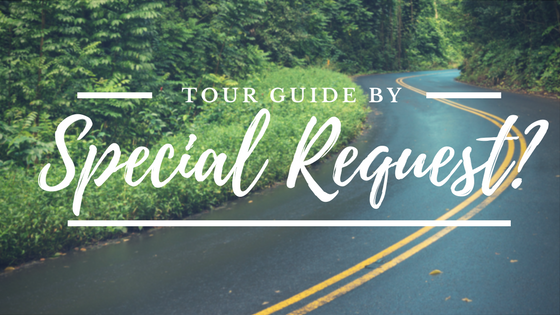 That said, we do our absolute best put your requested Tour Guide on your tour, and we let your Guide know that you requested her or him—they love knowing that you asked specifically for them! As with most requests—special meals, specific stops, and even special pick-up locations—we try our hardest to make it happen for you. See you soon! If the Instagram feeds of my friends on the mainland are any indication, Hawaii’s favorite fish preparation—poke— is enjoying its hey-day away from the Hawaiian Islands, and people can’t get enough! More and more people are visiting Maui having gotten their taste of poke back home, and are wanting to try the “real McCoy” while they’re here. 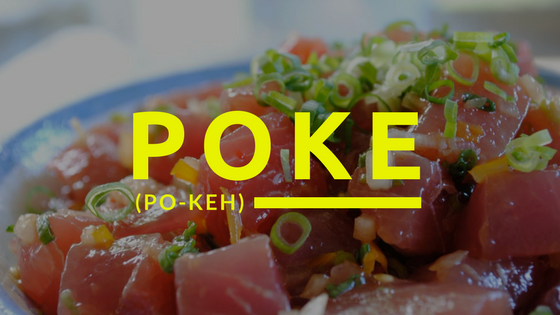 So, where are the best places to get your poke fix? Here are our picks! We’ve mentioned this food truck before, but man, if you’re looking for tasty, freshly-caught, amazingly seasoned poke, look no further. They sell out early, because they only have what they catch, so get there ASAP when you’re having a poke craving. This Food Network-featured establishment mixes their poke fresh to order, so you’re getting a perfect batch, every time. Our favorites are the shoyu wasabi, the spicy poke, and the gluten-free! This foodie-centric grocery store at the Lahaina Gateway center has a great, fresh poke selection, and will make you a poke bowl (fresh poke atop steamed rice) for a hearty and tasty lunch. Some unique offerings can be found here, like avocado ahi poke and sweet chili! You can also pick up the rest of what you need for a Hawaiian beach picnic lunch on your way to the shore. While Tamura’s (with several locations across the island) does have the best libations offerings on the island, they’re also well-known for their fresh and authentic poke selection. Pick up their king crab ahi poke (when it’s available) for an out-of-this-world experience, or try the kamikaze mix for a true flavor explosion. While you’re there, stock up on their adjacent items like garlic clams, or spicy edamame. And of course, don’t leave without some craft beer from their incredible selection, or a few bottles of well-curated wine! If you can’t go your whole stay without getting some poke, we hope we were able to steer you in the right direction!